Here’s what you missed. Ou r speaker for July 14th was Barry Emens from Riverton. He’s the Chairman of the Riverton Shade Tree Commission and has been on their board for 25 years. He’s a member of the New Jersey Board of Certified Tree Experts and the New Jersey State Community Forestry Council. He retired from the United States Department of Agriculture as the Director of Animal and Plant Health Inspection Services focusing on Insects and Diseases. The earlier rains came to an end, the campfire was lit, and the Delran Green Team was ready to introduce their first speaker in a series of Tuesday evening “campfire chats”. The Delran Green Team has selected speakers in a variety of topics intended to increase awareness. The first speaker was Barry Emens, A Riverton- based professional forestry consultant and residential Shade Tree Board Member. He spoke to the group on the Importance of Residential Tree Management. Mr. Emens stressed the need for careful municipal planning. 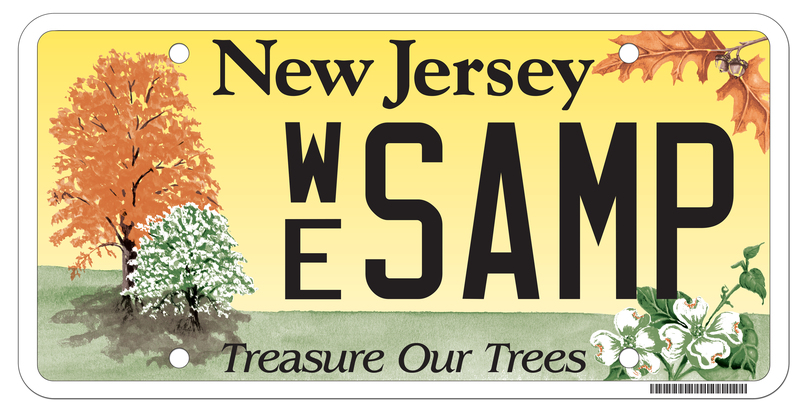 New Jersey Motor Vehicle Commission sells “Treasure our Trees” license plates. The purchase of these tags helps fund New Jersey’s Shade Tree and Community Forest Program which provides grant funding to municipalities to prepare a Community Forestry Plan. These plans help towns determine the health of the tree, when and where to prune, and which trees should be removed entirely. He provided some good advice for tree selection and planting locations for residents. Consider the size and shape of the tree and the location it will be planted. Don’t plant a tree expected to grow over 50 feet near wires. A tree which grows very wide should be planted far from your house. Select new varieties that are insect and disease resistance, drought tolerant, and easy to maintain. There’s a new Sweet Gum that doesn’t produce balls. Over-mulching is very common problem especially with landscapers. Piling up mulch on the trunk of the tree encourages the roots to grow up. This may look nice, but it prevents tree roots from proper breathing and induces insect infestations. Emmons gave the group some good advice —”plan for 70 to 80 years in the future when considering a tree on a particular site”. He also recommended that you never plant a new tree in the same hole from which a tree was removed and when hiring someone to work on your trees, considering a tree expert, get three estimates, be sure the company is insured, and make sure they don’t use spikes to climb the tree.